Get the most efficient power output by optimizing the torque you deliver to your drivechain system. -112° clocking from crank arm puts the major axis in your power stroke. 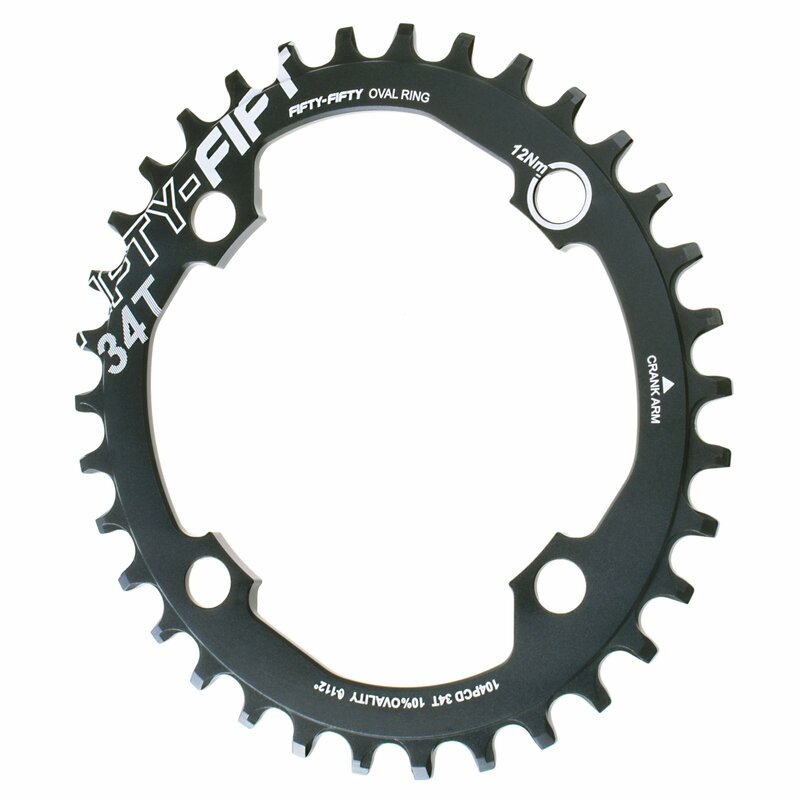 -With 2mm shims included with 34T,36T rings to compatible with 2x and 3x cranks. 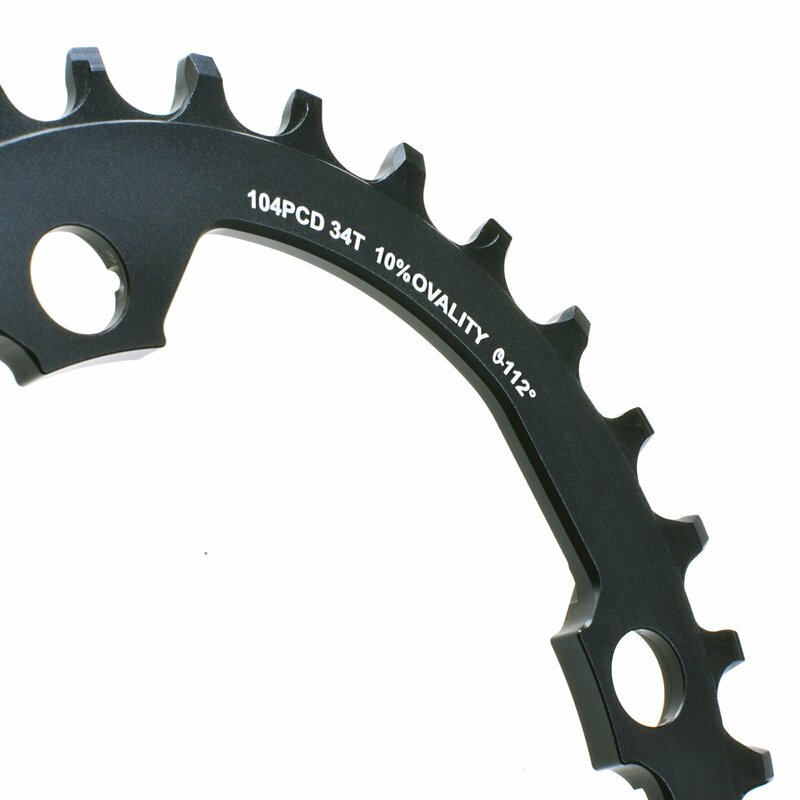 -32T rings have integrated shims and chainring bolt threads to allow the smallest ring size possible on a 104 PCD crank. -SHIMANO® tool-less fixing bolt design, only a 5mm allen key needed to install the chainring.